Web comic "Surfer Joe" was launched. | Web comic "Surfer Joe"
Web comic “Surfer Joe” was launched. 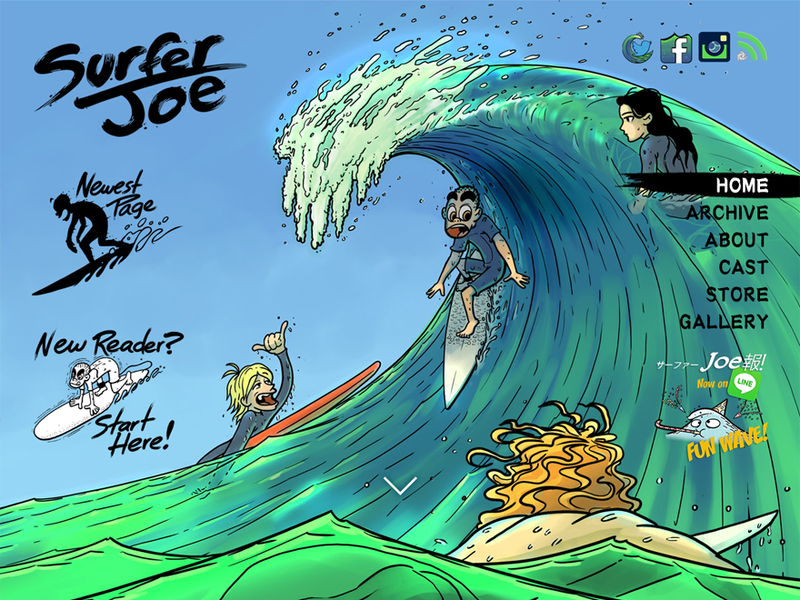 The website has been going through some changes, and now we’re back with a brand new SurferJOE comic format! Now in color with more story, be sure to check back here every Wednesday and Saturday for updates to the surfing adventures of Joe and his friends! Also be sure to check out our Online Shop for SurferJOE merchandise. We’ll be continuing to update it with new items in the coming weeks!